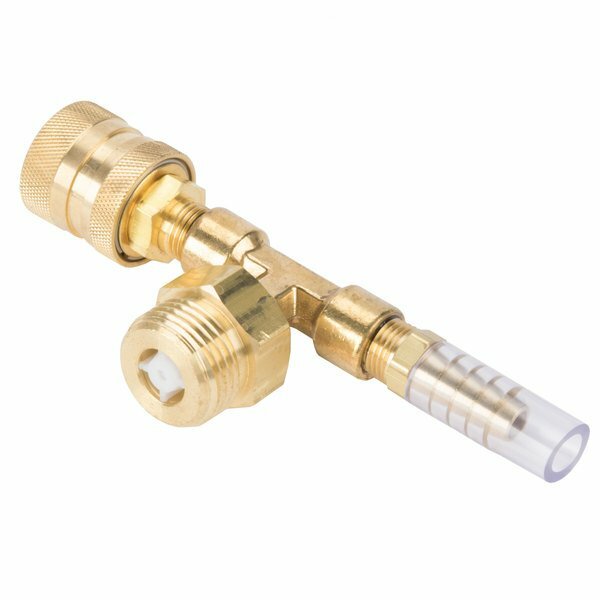 This Dema 68.6.QD2 pressure indicating tee is used when installing a chemical dispensing system. 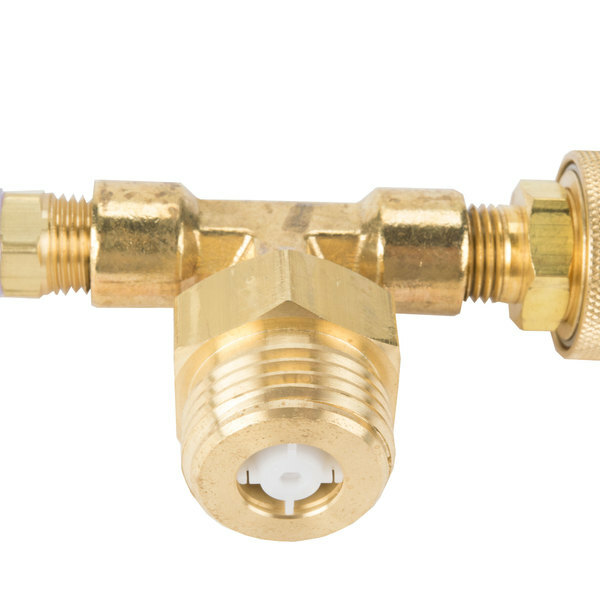 It connects a chemical pump system to a faucet when there is no other water source available. 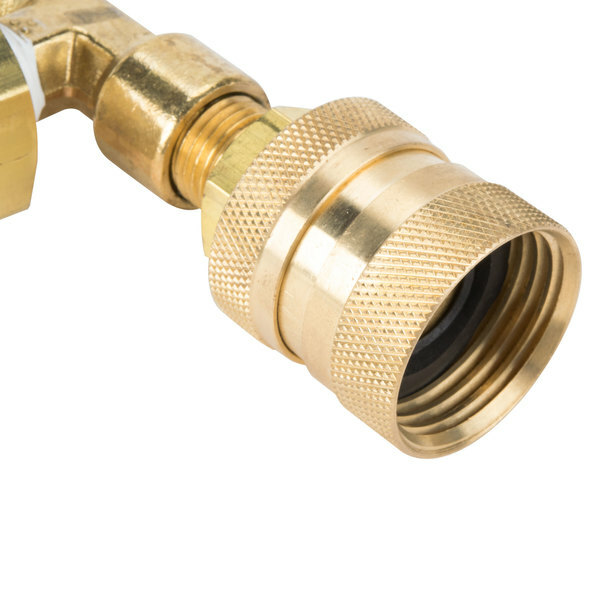 It operates with a constant stream of water flowing out of the bottom to signal that the water is on. 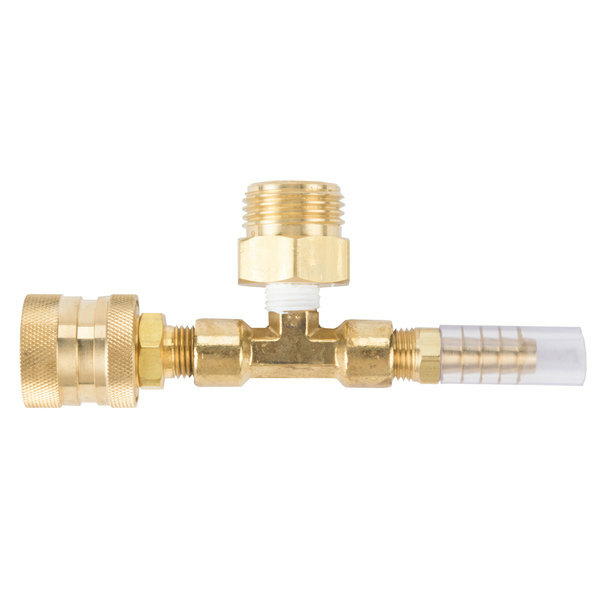 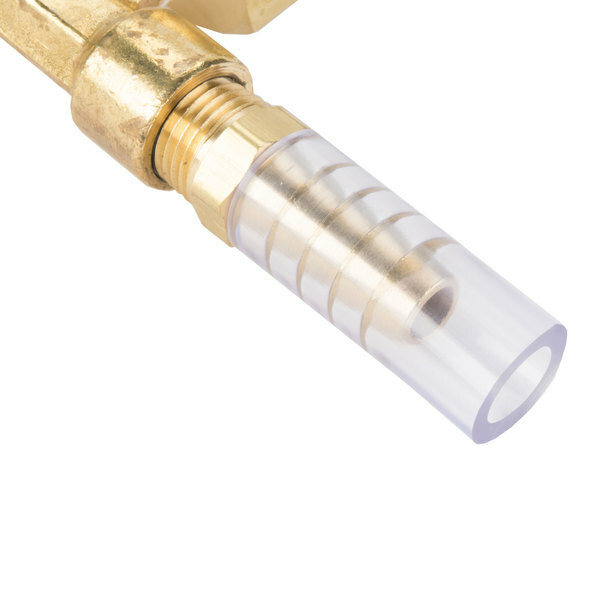 This pressure indicating tee can be used with a pressure gauge to ensure proper water pressure for chemical dispensing and comes with a quick disconnect fitting so your employees can easily detach it from the faucet when needed.